Thursday-Field trip Day! This is the first trip of the year. A rubric is in the homework folder to go over with your child before Thursday. Mr. Book and his wife are very sweet people and they appreciate how respectful Achieve has always been. This is their home and farm and they love sharing it with our kids. Kindergarten will also be joining us. This is Kindergarten's first field trip and it is up to us first graders and parents to set a great example for them. If you are able to drive even just your child we would appreciate the help. Still need a few permission slips turned in. If students don't have a permission slip they will need to sit in another classroom while we are gone. Box tops- last day for box tops is the 25th! Superpower of the week is the virtue of Respect- Respect is valuing yourself and others. Treating yourself and others with dignity. You get and give Respect. It is a cycle. Zoo Phonics we are now studying blends. Last week was "bl" this week is "dr." See how many blends you can find while reading this week. Our words are: draft, drag, drift, drip, drop, drill, drum, draw, drawn. In math We are finished with time. Students are able to tell time to the hour and 1/2 hour. Last week we started addition and subtraction up to 10. This means math facts and how fast they can recall them. After this we will start with facts up to 20. Science- Last week we learned how to tell what direction, East or West, by finding the sun. Our sundial clock on the playground is in progress. We are hoping to finish it this week. Homework- Star reading, field trip rubric. A substitute today said that I have the sweetest class. I absolutely agree!!! This bunch is one of the sweetest, kindest, most flexible groups I have ever had. A shout out to you all, moms and dads, for pouring these virtues into your kids!!! Superpower of the week is the virtue of Flexibility- being flexible with unforeseen circumstances. Being flexible with your ideas and listening to others input. How can you demonstrate flexibility at home? Zoo Phonics with words in the "ot" family. Our words are: pot, lot, spot, cot, hot, jot, dot. In math We are finishing up telling time this week. Kids will be able to tell time to the hour and 1/2 hour. We will also be making a sun dial clock on the play ground to tie our science and math units together. Science- We are still working with shadows this week and studying the patterns that shadows have throughout the day. Head outside at home and see what you shadows look like. Are they long or short and what time of day? Homework- No parent pipeline this week. We are taking the week to focus on sight words. A link to our sight words is at the top of this newsletter. 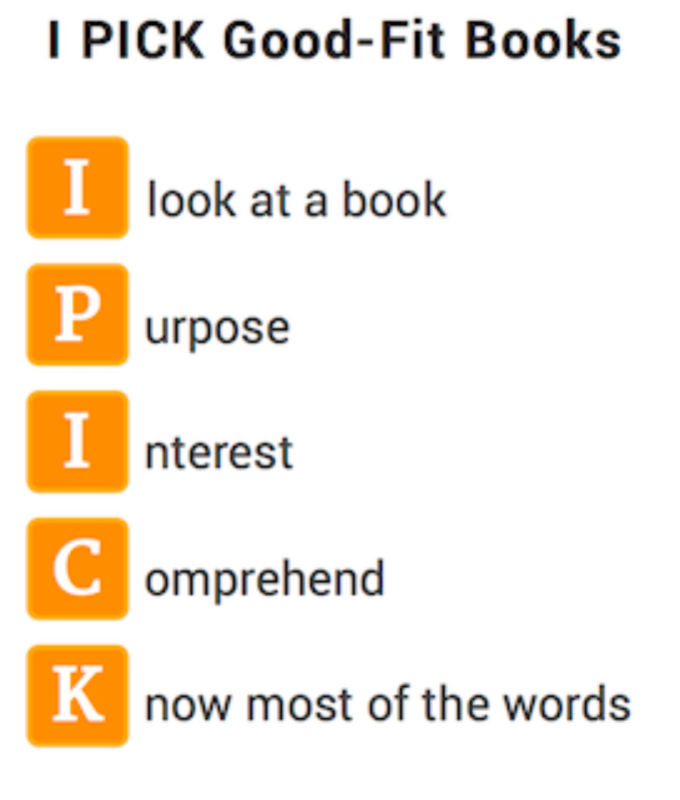 Also, click the tap at the top of our website for helpful ideas for practicing sight words. Many of them can improve there reading by knowing their sight words (we call the heart words because you need to know them by heart). Pumpkin Patch Permission slips sent home today Monday. Please return is with $9.00. We will be celebrating Mrs. Morris' birthday tomorrow, Tuesday!!! Lots of fun exciting things happening in 1st grade! Box tops- keep collecting and send them in. Superpower of the week is the virtue of Confidence. Trusting in what you know and who your are. Stand tall and have confidence in who you are. Zoo Phonics with words in the "id" family. Our words are: bid, did, hid, kid, lid, mid and rid. We are practicing our words during work work stations and zoo phonics time. In math This week students will be able to tell time to the hour and 1/2 hour. I sent home a math sheet of vocabulary words. These are words we are using in class. Keep this sheet at home to use this vocabulary at home too. Science- We started science and the kids are having fun. Ask them what they did with flashlights and gnomes last week. They are so excited. We are learning how the sun moves thru the sky causing shadows to move. A few kids are even taking it a step farther to show others how the earth is moving. Daily 5-Today we introduced story writing. We will be working on writing stories using characters, setting, and events. I am very excited about this. Homework- Parent Pipeline-we will be working on blending and stretching sounds all week. Keep reading at home. Let me know if you are having trouble finding reading material and I will send home a bag of books. Pumpkin Patch Permission slips will be sent home next Monday. We will be celebrating Mrs. Morris' birthday on Monday the 8th. She is a very important person in our classroom and provides educational support for our 1st graders. It is going to be another quick week. Don't forget there is no school on Friday. The teachers will be here working hard. Enjoy the three day weekend. Also, don't forget to place your order for pictures by Wednesday. Box tops- you are getting a fun Halloween sheet to tape or glue all your box tops to. The classes are competing to collect the most! Check in with grandparents and aunts and uncles to collect more. Superpower of the week is the virtue of Cooperation How can you practice cooperation at home? At school we are learning how working together can help us achieve bigger and better things. Together we are stronger, smarter, wiser. Zoo Phonics with words in the "et" family. Our words are met, let, yet, jet, wet, get, vet, bet, pet, set, net. We are still practicing our words during work work stations and zoo phonics time. In math This week we are starting to learn to tell time! This is one of my favorite math units. We will learn to tell time to the nearest 1/2 hours. This ties into our science unit as we learn to watch the patterns of the sun in the sky. Science- check our the science tab at the top of our page. We are starting our new science unit this week! Homework- Parent pipeline paying close attention to the beginning and ending sounds in a word. This kids have set a goal to reach 240 stars as a class this week. Pumpkin Patch is coming up in October, but now is a great time to get your insurance updated in the office! Mrs. Harrison's birthday is September 30th. We will be celebrating in class this Thursday.​ She is such a valuable part of our class. It was so fun to see everyone at March for Mia on Saturday. What a great way to teach our kids how to come together as a community and support others. The VIP sharing is going so well and has been so fun to see the first grades reading in front of the class. If you want to see the VIP instructions ahead of time you can click on QUICK LINKS at the top menu. Superpower of the week is the virtue of Peacefulness. How can you show peacefulness at home? Zoo Phonics with words in the "at" family. Our words are at, cat, hat, mat, rat, sat, bat, fat, pat, that. We are trying some new word work stations this week. Ask your first grader how they are practicing the words in class this week. In math we are finishing up our unit on adding and subtracting with part-part-whole. Homework- Parent pipeline this week is about the skill of chunking. Taking larger words and breaking them into readable chunks. For example "that" can be broken into "th" and "at." Try this at home and have your first grader write the words they chunked on the star reading page. Mrs. Harrison's birthday is September 30th. We will be celebrating in class on the 28th. She is such a big part of our first grade class and this school. What a fast week! We are going strong in so many subjects right now. They also did an amazing job with the fire drill we had on Thursday. Folders- A few questions came up this week. Monday Folders can be returned any time during the week. Homework Folders are returned on Friday with the STAR reading page inside. Homework- This week with the STAR reading you will find a Parent Pipeline. These letters let you know about a skill you and your 1st grader can be working on at home while reading. These are skills introduced in class either whole group or in small groups. Reading is a family activity so, be sure to share in the reading fun. If your 1st grader can't sit for 20 minutes, break it up into 10 minute sittings. Our first graders are new readers and still forming opinions like: am I good at reading, do I like reading? Help them feel like they are on the path to becoming great readers. We are all on the path, just in different places. Have fun reading! Daily 5- This week we learned about Read to Someone. They did a great job of sitting elbow to elbow and knee to knee. They also did an amazing job of picking their partners and reading the whole time, helping each other check for understanding. Way to go first graders! Pictures posted on the Facebook page. Wow, I can't believe it is already the 3rd week of school. These kids are doing amazing! They are working hard on their goals and even setting knew personal goals in reading. Superpower of the week is...the virtue of Friendliness- This week we are exploring what it means and what it looks like to be a good friend. Monday Folders- These folders are sent home with completed work to keep at home. It also has paper work from the office and other flyers to keep at home. Return and forms to be filled out in the folders. Lunch Form- if you have not filled out a free/reduced lunch form, please do and return it in the folder. This is very important to fill out even if you don't plan on ordering lunches at school. Thank you! Homework- STAR reading log is in the homework folder. Fill in a star for every 10 minutes they read. A combination of you reading to them while they follow along and them reading to you is ideal. your goal should be 20 minutes a night. You can also log time you have read over the weekend. Help them find books that are interesting to them and let me know if you need a bag of books sent home. Math- We are working on solving addition and subtractions problems to 10. Special math vocabulary words we are learning are join (as in joining two groups), in all and count. Try to use these around the house.